Keep your seventy-two compartment Gore-Tex bag—we’re keeping it simple. Real simple. We’re talking about one big compartment in a top-loading duffle inspired by the American military, circa 1940. It worked for them, and it can work for us. 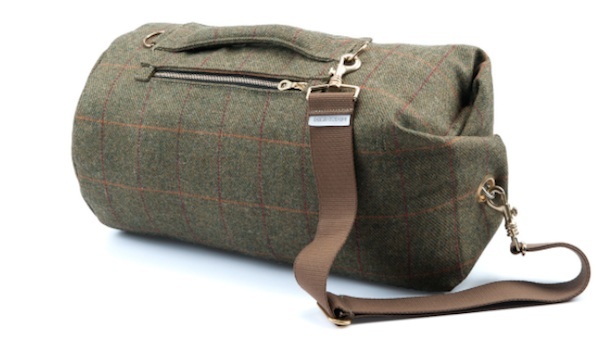 That said, if you really need options, the Tombag ($150-ish) comes in three sizes and can be done in tweed, tartan, canvas, and waxed canvas. Pictured is the Yorkshire Tweed, which is produced from fabrics sourced within a six mile radius of their West Yorkshire base, so you know it’s authentic.